Another great week in the work of the Lord. A week that at first seemed like it was going to be a nice, straightforward week was turned upside down, and a lot of improvised divisions to cover ground, but still an uplifting and inspiring week. So, on Tuesday, we found out that one of the elders in our district had to travel to Santa Fe urgent the next day to do some legal paperwork because his visa was about to expire, and the secretary had forgotten to tell him that he had to come (give him a break, he's new :) ). The problem was that they had appointments, and the other elders in their branch had appointments as well, and so did we. So we ended up doing some three way divisions, and Elder Streuling went with the elder who had to travel, Elder Toner, and I went with Elder Chaname from the other branch, and his companion went with Elder Toner's companion. Elder Chaname and I for the rest of the day, and all day Wednesday, went back and forth between the two branches on buses all day to try and cover all of the appointments between the two areas. It was kind of crazy, and we took a lot of buses, but in the end we were able to get everything done that we needed to do. On Thursday we had zone conference, which is always an uplifting and inspiring experience. I definitely know that our leaders in the church are called by revelation, and that they are guided by that same process of revelation. Presidente Perez, our mission president, has counseled and guided us through that inspiration, and every time we follow that counsel, we have seen miracles and blessings in our areas, districts, zones, and in the mission as a whole. Last night, we had another great experience. We had a district-wide fireside, using all of the materials from the Prince of Peace Easter campaign that the Church did this year. It was a spiritually powerful experience, especially for me. What we did was watch every one of the 8 videos of Principles of Peace, and then between each video there was either a short message by one of the branch presidents or a musical number about that particular principle. At the end the district president bore his testimony of Jesus Christ, and we finished with the Prince of Peace video, which has to be one of my all time favorite videos about Jesus Christ, if not my favorite. Every time I watch it, I feel the Spirit so powerfully, and this time was no different. But having learned throughout the fireside about the different principles, the Spirit was thick and palpable in the room, and everyone could feel it. It was an amazing experience. 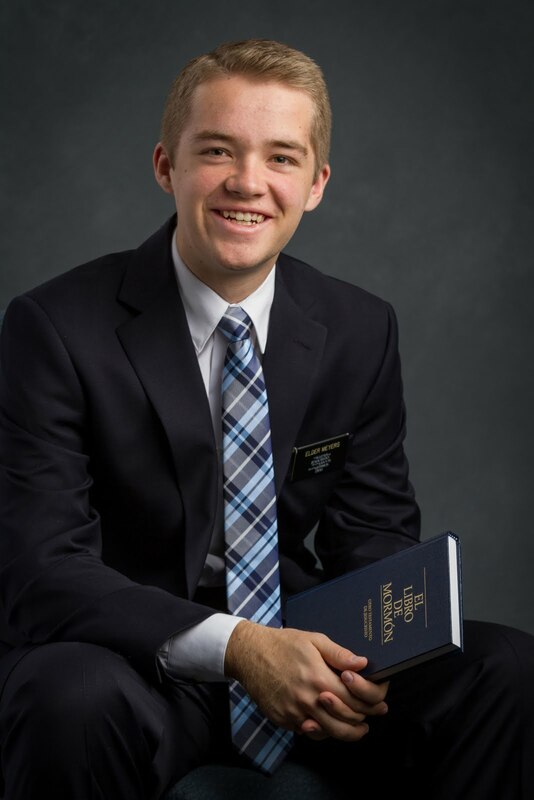 It was probably the most spiritual activity in which I have participated during my whole mission. There were also investigators there from different branches, and they all had a very positive experience, so we were happy about that. I just want to say that I know that Jesus Christ lives, that He is our Savior, that through Him and His gospel we find true peace. As we have faith in Him, and repent of our sins, and come to Him with full purpose of heart, we find true peace. May we all look to our Savior as the Prince of Peace and the one and only true Guide and Example for our lives. This is Fabrizio! We saw him during divisions in Federal. I did his baptismal interview, and he is an extraordinary young man. Me and the Yeri family from our branch! They're awesome. Me with Presidente Sarasua and his wife! He is the district president. Me and Maira and Sara and Elder Streuling after the fireside! With Presidente Nicolicchia, the former district president and current president of the La Bianca branch.